Nukazuke is traditional Japanese pickles made using rice bran as a fermenting base. 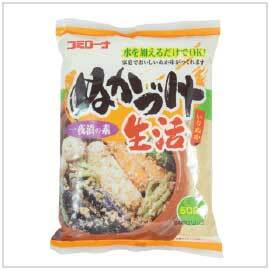 By using this nukazuke no moto or instant pickling mix, delicious pickles can be made easily. Simply mix one bag (500g) with 20-23floz (600ml-700ml) of warm water and marinade your choice of vegetable overnight.